John Weidman (b. 25 September 1946), has been writing for the musical theater as a librettist, book writer, and legal advocate for almost thirty years. He is the son of librettist and novelist Jerome Weidman, the co-author (with George Abbott) of the Pulitzer Prize-winning musical Fiorello!. John has written three scripts in collaboration with Stephen Sondheim, those for Pacific Overtures (1976), Assassins (1990), and Bounce (2003, variously titled Wise Guys and Road Show 2008). With choreographer/director Susan Stroman he co-created the Tony Award®-winning musical Contact in 1999. He has been nominated three times for the Tony Award® for Best Book of a Musical, and three of the shows for which he has written the book have won Tonys® for either Best Musical or Best Musical Revival. 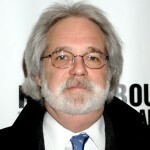 From 1999 to 2009 he was president of the Dramatists Guild of America. 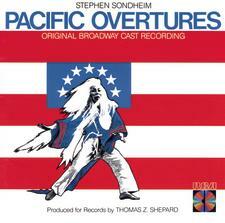 Weidman’s first Broadway collaboration was with director Hal Prince and songwriter Stephen Sondheim, resulting in the original production of Pacific Overtures (1976). At first Weidman’s book had been a straight play, presented in Kabuki style under Prince’s direction: men playing all the roles, set changes executed in full view by stagehands in black. “We were in the middle of casting,” recalled Weidman, “and I thought, ‘oh, look at me. I’m going to be a Broadway playwright.’ And at the last minute, Hal changed his mind and decided that it wasn’t going to work as a play, it needed to be a musical. I thought that was a polite way of saying, ‘that was the end of that’. But he took it to [Sondheim], … and eventually we were off to the races.” The show won the New York Drama Critics prize for Best New Musical and gathered ten Tony® nominations, among them one for Weidman’s book. A decade later, he joined forces with Timothy Crouse to revise the frothy but creaky 1934 book to Cole Porter’s Anything Goes, by Guy Bolton and P.G. Wodehouse. (The 1934 book was already a revision – by Crouse’s father, Russel, and Howard Lindsay.) The new production, with a score augmented by more Porter songs and revised orchestrations by Michael Gibson, played for two years (784 performances) at the Vivian Beaumont Theatre in Lincoln Center, and won the 1988 Tony Award for Best Revival. Under the direction of Jerry Zaks and with choreography by Michael Smuin, it starred Patti LuPone as Reno Sweeney, Howard McGillin as Billy, Bill McCutcheon as Moonface, and Anthony Heald as Lord Evelyn, all of whom were nominated for Tonys® (McCutcheon won for Best Featured Actor, Smuin for Choreography). The production also won the Drama Desk Award for Outstanding Revival and LuPone won for Outstanding Actress. In March 2011 the Roundabout Theatre revived this same 1987 Weidman/Crouse rewrite of Anything Goes, and it remains very much alive today. With direction and new choreography by Kathleen Marshall, and starring Sutton Foster and Joel Grey, it is scheduled to run at the Stephen Sondheim Theatre until April 2012. It has received a total of nine Tony® nominations and ten Drama Desk nominations, including wins for Best Actress, Best Director, and Best Revival. A U.S. national tour will begin in Cleveland in October 2012 and will play 25 other cities. Weidman again collaborated with Stephen Sondheim to write the musical Assassins, which was first produced off-Broadway in 1990, winning a Drama Desk nomination for Outstanding Musical. Based on an idea by Charles Gilbert, Jr., it is structured more as a revue than a book musical: historical figures who attempted (successfully or not) to assassinate Presidents of the United States are portrayed in music appropriate to their eras. 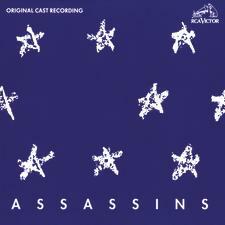 In contrast to Pacific Overtures, which had always had director Hal Prince at the center of its development, “Assassins was a show which grew out of conversations between me and Steve, and we finished writing it before it was ever exposed to a director. So that was a writer’s show. It was finished before we showed it to Jerry Zaks and he decided he wanted to direct it.” Weidman was nominated for the 1991 Drama Desk Award, Outstanding Book of a Musical, for his script. Assassins was revived on Broadway in 2004, winning the Tonys® for Best Musical Revival, Best Direction of a Musical, Best featured Actor, Best Orchestrations, and Best Lighting. It also won Drama Desk Awards for Outstanding Revival, Outstanding Featured Actor, Outstanding Lighting, and Outstanding Sound Design, and had four other nominations as well. The musical adaptation of Big, with book by Weidman, music by David Shire, lyrics by Richard Maltby, Jr., and choreography by Susan Stroman, opened at the Shubert Theatre on April 28, 1996, and ran for less than six months. In spite of its five Tony® nominations (for Weidman’s Book, Best Actress, Supporting Actor, Score, and Choreography), it turned out to be an object-lesson in the risky business of adapting material for the stage, for it was one of the biggest money-losers Broadway has ever seen. It was “no match,” as one critic noted as he reviewed the mostly rewritten version touring the nation in 1998, for the blockbuster movie (1988, starring Tom Hanks) that had been its inspiration. The revised version is now the standard, and continues to be popular with amateur, school, and professional theatre groups across the US. In October 1999, a “dance play” in three acts, co-conceived by Weidman and Susan Stroman, choreographed and directed by Stroman, opened at Lincoln Center’s Mitzi Newhouse Theater to considerable surprise and praise from the critics. This “play,” Contact, accompanied by pre-recorded music (ranging from Georges Bizet to the Beach Boys to Stephane Grapelli playing Rodgers and Hart) and with minimal dialogue, was of no recognizable genre, but a “theatrical portfolio,” as Ben Brantley of the NY Times called it, “of three seemingly unrelated vignettes,” all testifying to the irresistible, imaginative power of dance. 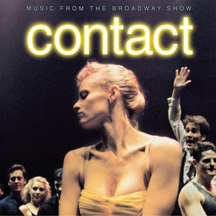 In March of 2000, reclassified as a musical, Contact moved to the Vivian Beaumont (which, although part of Lincoln Center, qualifies as a Broadway theatre). It won that year’s Drama Desk Award for Outstanding Musical, but because of the controversy that arose as to whether, since no one played or sang in the piece, it qualified as a musical, a new category was created for its Tony Award®: Best Special Theatrical Event. It ran until September 2002, when its final performance was televised “Live From Lincoln Center” on PBS, and a televised version in 2003 won an Emmy Award. The show also toured nationally and traveled to London’s West End. Weidman’s third collaboration with Stephen Sondheim is a musical that has borne four different titles: Gold!, Wise Guys, Bounce (produced in Chicago and Washington in 2003), and Road Show (produced off-Broadway in 2008). The show follows the adventures of two American brothers at the beginning of the twentieth century, from Alaska’s gold rush to Florida’s real estate boom. It played at the Menier Chocolate Factory in London for two months in 2011. A second collaboration with Maltby and Shire resulted in Take Flight, a musical inspired by the early luminaries of aviation: the Wright Brothers, Lindbergh, Amelia Earhart, and others. It premiered at the Menier Chocolate Factory in July 2007 and at the McCarter Theatre Center in Princeton, NJ, in April 2010. In 2009, Weidman again joined Stroman on a new project, Happiness, which opened at the Mitzi E. Newhouse Theater at Lincoln Center but did not go to Broadway. Weidman’s interest and training in the law came to the fore in October 2007 when he gave a lecture (later published in the Brooklyn Law Review) on the subject of theatrical copyright, “Protecting the American Playwright” (read it in full at the link below). Playwrights’ copyright was the most important “legal collision,” he said, that he had dealt with as President of the Dramatists Guild of America. For as long as anyone can remember, dramatists going all the way back to Shakespeare have done their work within a stable framework, a “common set of assumptions about how a play or a musical makes its way from the page to the stage. Everyone has known who did what, who owned what, who was in charge, and who had the last word.” But in recent decades these assumptions have been challenged by producers and directors attempting to copyright their own input, and to model the business of theatrical production upon the pattern of the motion picture industry. This, says Weidman, has “uncertain consequences for the future of the American playwright and, by extension, the American Theater.” It is a provocative issue, and well worth pondering.